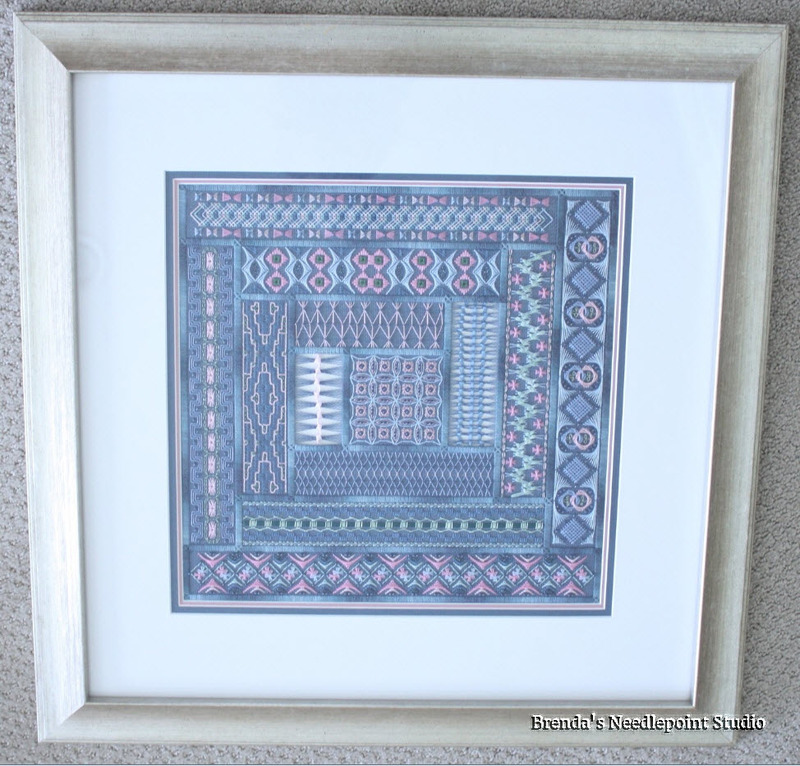 March 18, 2015--Won 3rd Place Ribbon in the Canvaswork-Multi category at Woodlawn's 52 Annual Needlework Exhibition in Alexandria, VA.
March 20, 2014--Won 2nd Place Ribbon for Canvaswork at the Rehoboth Beach Museum 4th Annual Needlework Exhibit. October, 2012--This was an ANG CyberPointers Correspondence Course taught by Linda Reinmiller. For me this was an extremely ambitious project, but once I received Linda's instruction manual, I was immediately put at ease. I learned a lot of new stitches and techniques, all of which were detailed in her instructions. This being a CC, I was able to mail my completed project to Linda for review. I was very impressed with how she was able to catch the smallest thing that should have been done differently. Another wonderful learning experience. I so much enjoyed this project that I signed up to do her Garden Walk.